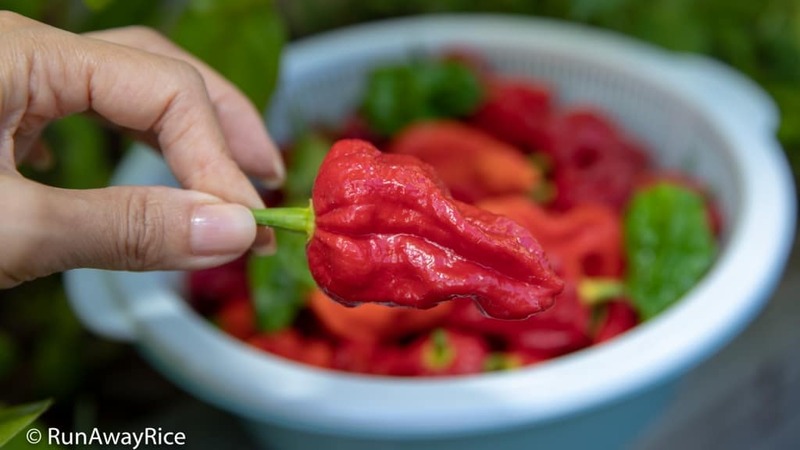 One of the hottest chili peppers in the world, the Ghost Pepper is insanely spicy and not for the faint of heart or stomach. Known also as Bhut Jolokia, Ghost Chili, Red Naga, this hybrid chili pepper originates from the Assam region in northeast India. 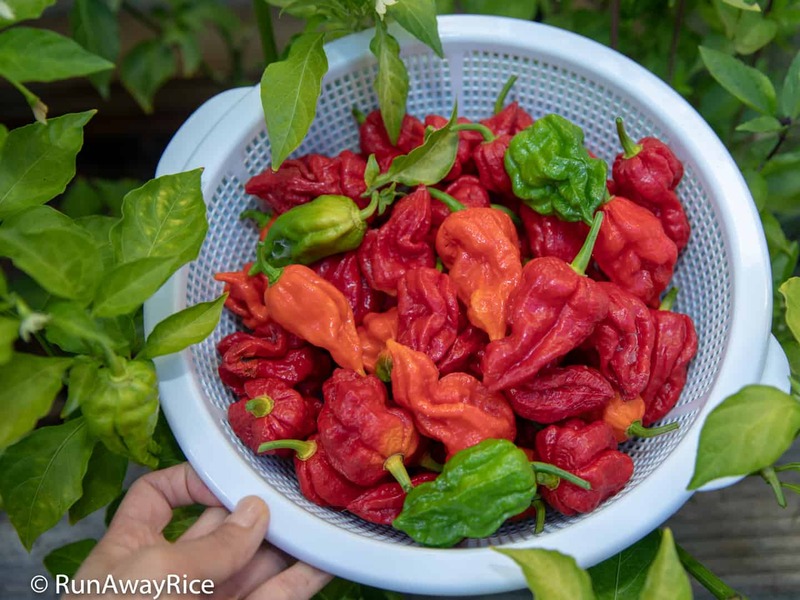 “Bhut” means “ghost” and “Jolokia” means “chili pepper” in the Assamese language. A Ghost Pepper is on the smaller side, approximately 2 – 3 1/2 inches long and 1 inch wide with a tapered end. 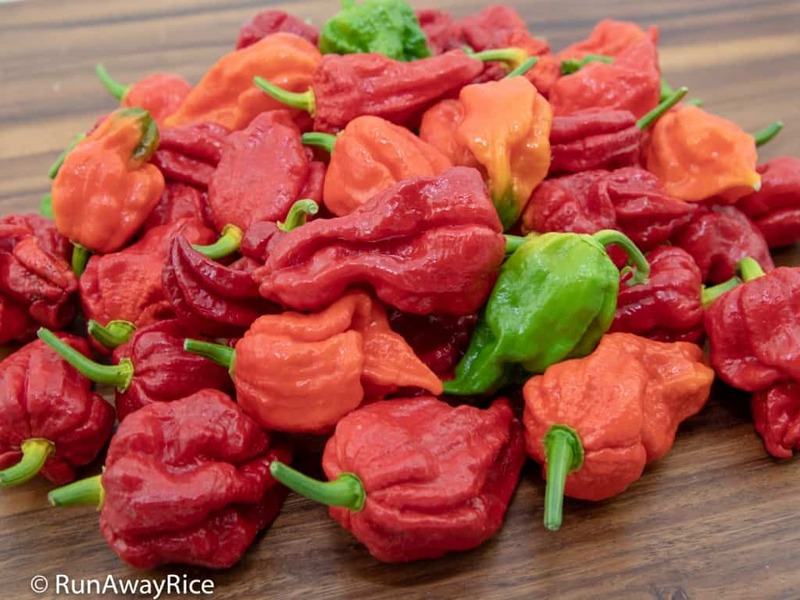 Ripe Ghost Peppers range in color from a bright orange to a deep red. The peppers have a fairly thin skin which is often wrinkly with deep groves, like a prune. Why Do We Crave the Spice? Spicy foods are something many people enjoy, crave and are addicted to, myself included. I love chomping on fresh chili peppers or dousing foods with fiery chili sauce. Interesting enough, did you know spiciness is not a taste? 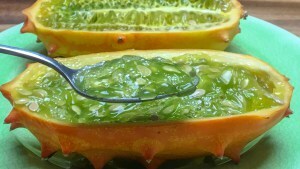 The basic tastes are: sweet, salt, bitter, sour and savory. Spiciness is not a taste but a sensation of pain. When you eat spicy foods, it’s the pain receptors in your mouth registering the fiery sensations. Sounds torturous right? In a way it is, and it’s this pain and burning sensation caused by the spicy foods which we enjoy and crave! 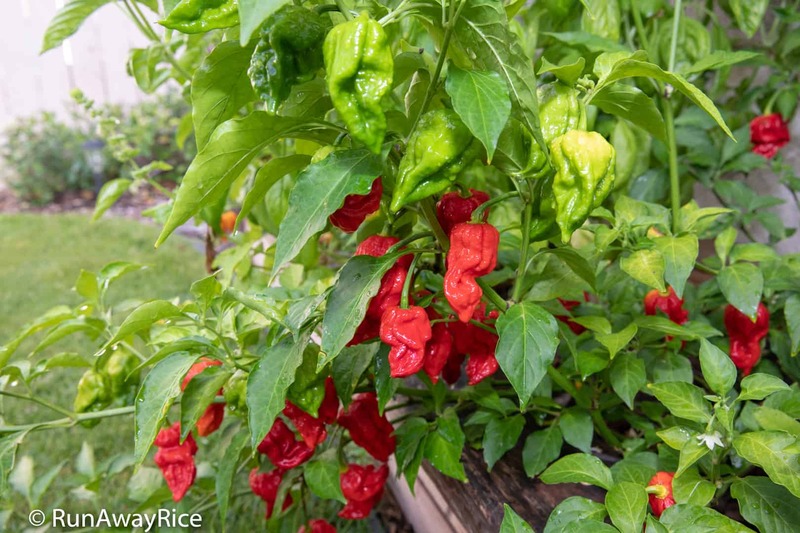 The Ghost Pepper plant is really easy to grow. It is planted in a box garden where it gets full sun. 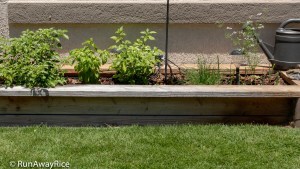 I water it 3 – 4 times per week, usually in the evenings. I haven’t had to fertilize or treat the plant for bugs. It’s really been effortless. Even if you can’t eat the peppers, they are fun to grow, bright-colored and so pretty to look at. 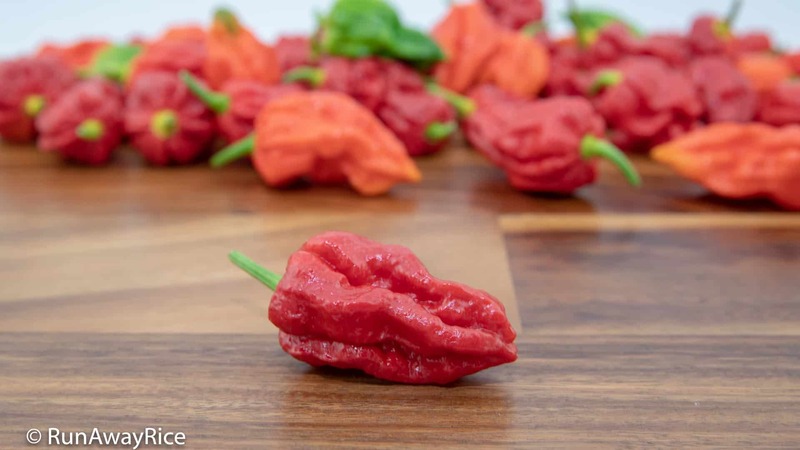 If you can handle the spice, you can enjoy Ghost Peppers with your favorite foods. Chop it up and add to fish sauce dipping sauce, marinades, salsas and stir-fries. 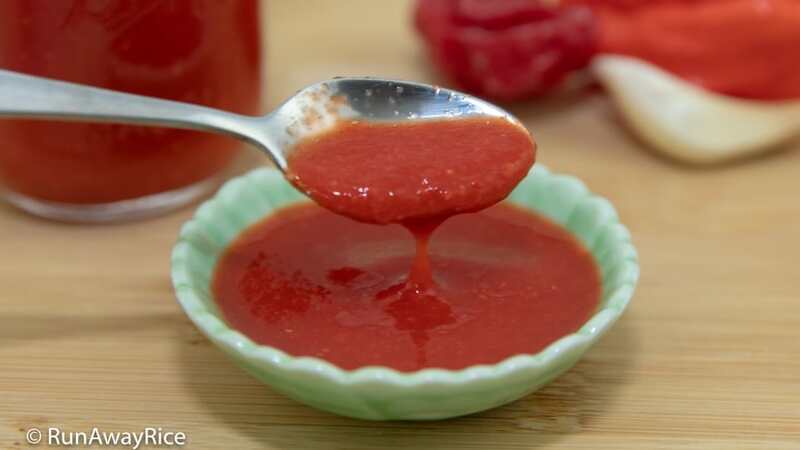 Make a wickedly good Chili Sauce / Hot Sauce (Tuong Ot). Pickled Ghost Peppers are awesome too. The pickling process actually removes some of the spiciness from peppers. Check out my Pickled Jalapenos (Ot Ngam Giam) recipe. 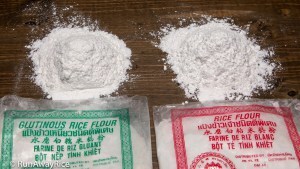 Use this base recipe and substitute with Ghost Peppers or whichever spicy peppers you like. 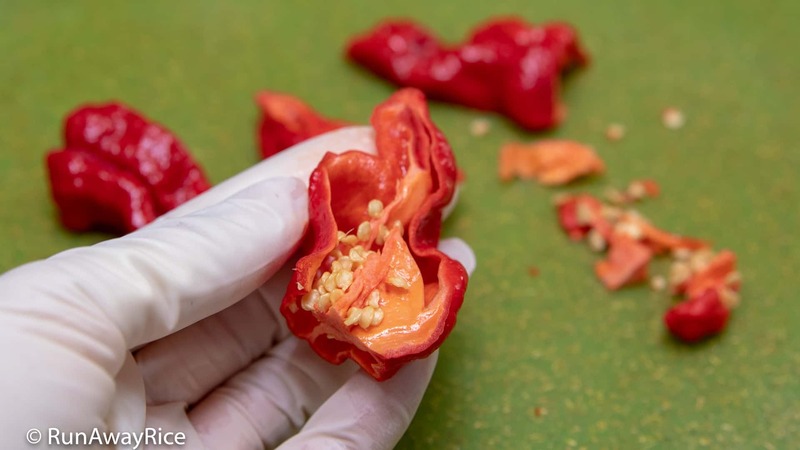 Use food prep gloves when chopping Ghost Peppers so you’re not touching the peppers directly as they will burn your skin. 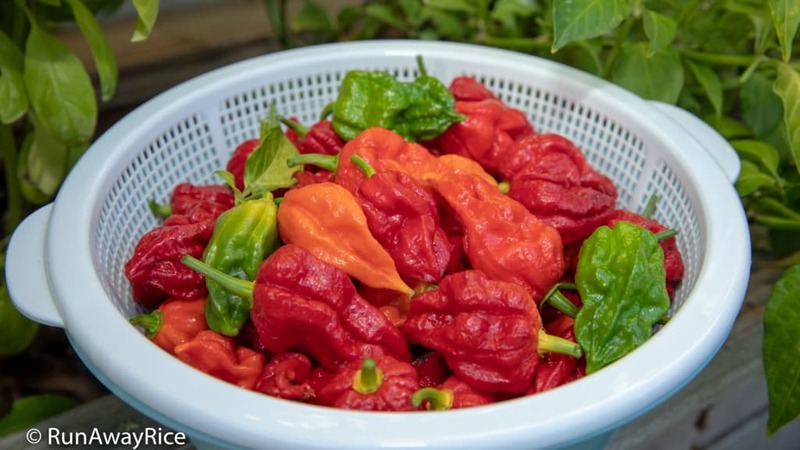 (Whole Ghost Peppers can be safely handled without gloves.) Also be really careful not to touch your face, especially your eyes and nose, when cutting the peppers. Prepare the peppers in a well-ventilated area. 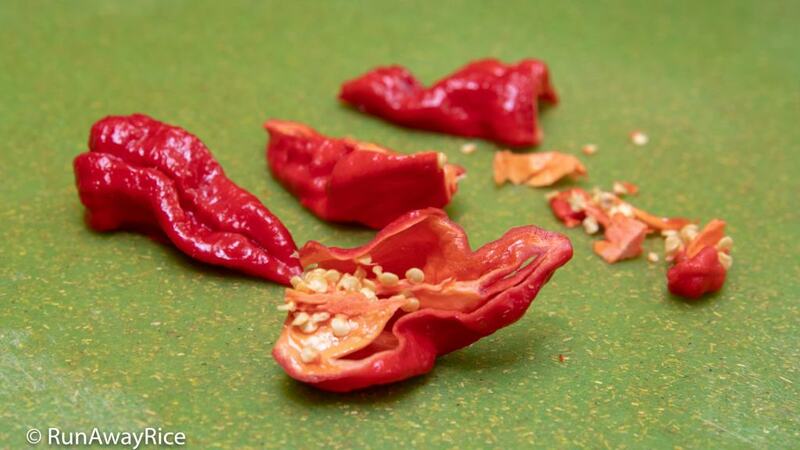 The pepper fumes can cause watering eyes, sneezing, hiccups and coughing. After cutting the peppers, wash all utensils and cutting boards well with lots of soap and hot water to avoid leaving residual oils behind and contaminating other foods later.